totems of unbalanced and often misconceived development as well as games. condemnation of its brutal crackdown on anti-government protesters and rebels. Muslim majority of the ruling Sunni majority. Qatar’s winning of the right to host the 2022 World Cup. minority in countries like Qatar, Kuwait, the United Arab Emirates and Bahrain. Gulf populations no longer having countries that they control. International Labour Organisation conference next month. labour legislation and workers’ condition with international standards. would stop short of allowing foreign workers to freely change jobs. bought off with cushy tax-free incomes and benefits. covering the Middle East for over 30 years. Centre. Please click here to subscribe to the Centre's publications. Proponents of allowing observant Muslim female soccer players to wear a head dress and anti-autocratic protesters in the Middle East and North Africa are running up against similar conservative attempts to roll back their achievements. Ironically, they are both confronting alliances that at times cut across confessional boundaries. While the battle to secure the goals of successful protests in post-revolt Egypt, Tunisia and Libya has largely moved from the street to the polling station and backroom horse trading, the campaign for a woman’s head dress on the pitch that meets security and safety standards is being waged in the secretive board rooms of authorities that govern association soccer. While protesters in the Middle East and North Africa have learnt the hard way that toppling an autocrat is but the first step to ensuring greater freedom and social justice, pro-head dress campaigners are discovering that tentative board decisions are no more than tentative and open to challenge. That is even truer given world soccer body FIFA’s lack of transparency and accountability and its failure at times to avoid conflicts of interest. FIFA Executive Committee member, medical doctor and head of the soccer body’s medical committee Michel D’Hooghe, in the latest twist in the campaign for observant Muslim female soccer player’s rights, has thrown into doubt a decision last March by the International Football Association Board (IFAB) that sets the rules for association soccer to temporarily allow the wearing of a head dress that meets safety and security criteria while various designs and models are tested. 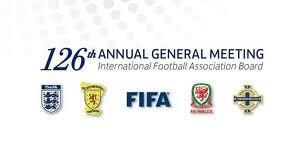 IFAB decided at the meeting that it would take its final decision in July based on the testing results. Speaking at a news conference at last week’s FIFA congress in Budapest, Dr. D’Hooghe, in a sudden about face withdrew from his earlier backing of the IFAB decision saying that “we have received some samples and some doctors, including from the Muslim countries, said they (headscarves) represented a danger. 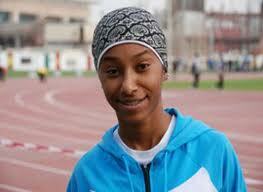 When a girl is running at speed someone can hit the head scarf and that can lead to head lesions,” he said. Dr D’Hooghe suggested that further testing may be needed. It was not immediately clear what prompted Dr. D’Hooghe’s turnaround and he did not respond to requests for comment. Dr. D’Hooghe was a co-drafter and signatory of a statement that favoured allowing a head dress issued last October at a meeting in Amman of soccer executives, referees, players and this reporter convened by FIFA Vice President Prince Ali Bin Al Hussein, a half-brother of Jordanian King Abdullah who campaigned for his soccer post on a platform that called for greater women’s rights. The statement defined the hijab, a head dress that covers a woman’s hair, neck and ears in accordance with Muslim custom as a cultural rather than a religious issue. “The hijab issue has taken centre stage in football circles in recent years due to the increasing popularity of women’s football worldwide. It is a cultural issue that not only affects the game, but also impacts society and sports in general. It is not limited to Asia, but extends to other continents as well,” the statement said. Dr. D’Hooghe, one of FIFA’s longest serving executive committee members, has since reportedly denied involvement in the drafting of the statement or having agreed to sign it. Proponents of the head dress believe that Dr. D’Hooghe’s turnaround and the effort to backtrack on IFAB’s decision – employing medical arguments much like the English Football Association did almost a century ago when it banned women’s soccer – strengthens an uncoordinated scala of conservative anti-Muslim, sexist, feminist and conservative Muslim opposition to the head dress by disparate parties that each have different interests. Saudi Arabia, the world’s most conservative Muslim nation, has privately argued against the IFAB decision because it undermines the kingdom’s rejection of women’s sports in general and soccer in particular. IFAB’s endorsement came at a moment that Saudi Arabia, the only nation unlikely to be represented by women at this summer’s Olympics, is under mounting pressure from the International Olympic Committee (IOC) as well as human rights and women’s groups to include women in its delegation in London. Any delay in the definitive approval of the hijab by IFAB could have implications for teams competing FIFA Under-17 Women's World Cup in Baku in September – a move that would make Saudi Arabia appear less isolated. FIFA insiders suggest that the soccer body’s president, Sepp Blatter, widely believed to be a conservative Catholic, is ambiguous towards the hijab. A former president in the 1970s of the World Society of Friends of Suspenders that campaigns against women swapping their suspender belts for pantyhose, Mr. Blatter famously said when asked in 2004 how to popularize soccer: "Let the women play in more feminine clothes like they do in volleyball. Female players are pretty, if you excuse me for saying so, and they already have some different rules to men – such as playing with a lighter ball. That decision was taken to create a more female aesthetic, so why not do it in fashion?" Mr. Blatter advised gays in 2010 after Qatar, a country that bans homosexuality, was awarded the 2022 World Cup to “refrain from sexual activities” during the tournament. A meeting of the 17-member FIFA medical committee in the wake of the IFAB decision focused on the threat of carotid sinus irritation - a condition to which men over 50 rather than women are susceptible - that a head dress could pose rather than on the danger of strangulation or heat emission, according to persons familiar with the proceedings. Cleveland Clinic’s Dr. Bruce D. Lindsay, a sports medical expert, refuted the threat in a letter to Prince Ali dated May 21. “If vigorous carotid sinus massage were performed by a physician with knowledge of anatomy, it might cause minor slowing of the pulse or possibly a brief pause in a healthy young athlete; however, even this response would be blunted during the level of exertion expected during a football game… it is extremely unlikely that a reasonable degree of carotid pressure would have any effect. The risk of inducing loss of consciousness is negligible. There is no reason to believe that a light headscarf with breakaway attachments, such as Velcro or magnets, would exert effective occlusive pressure simultaneously on both carotid arteries such as occurs when a choke hold is used in Judo or hand to hand combat. In summary, there is no medical basis to prevent women from playing football with sports headscarfs that are designed for quick release in the event of inadvertent contact,” Dr. Lindsay wrote. During the committee meeting, a female woman staffer was asked to put on one of the designer’s head dresses. Committee members, including three from the Arab world, pulled at the head dress, according to persons familiar with the proceedings, on the basis of which the committee declared it unsafe. At a follow-up meeting called at Prince Ali’s request, designers of head dresses for soccer players and representatives of testing institutions briefed Dr. D’Hooghe and committee advisor Jiri Dvorak. Dr. D’Hooghe advised FIFA on the basis of the two meetings that designs presented to the medical committee had been deemed unsafe. “We were shocked that he could write a recommendation on that basis. We don’t know what prompted this or changed his mind,” said Michele Cox, a director of Prince Ali’s foundation, Asian Football Development Project, and a former member of FIFA’s women’s committee who attended the Amman meeting. Prince Ali said in an interview that he has called on Dr. D’Hooghe and Mr. Dvorak to explain their reversal and rejection of the head dress to IFAB at its next meeting in July. Prince Ali said the hijab issue should be addressed with the same sincerity FIFA approaches other issues such as goal line technology and various designs should be rigorously tested on the pitch for a period of time. “Let them do it properly,” Prince Ali said. The IFAB meeting is likely to be a litmus test of Mr. Blatter’s intentions. IFAB’s eight members -- four from FIFA as well as one each from England, Wales, Scotland and Ireland – are appointed in advance of each of its meetings. Dr. D’Hooghe is often one of the FIFA representatives when IFAB discusses medical issues. FIFA has yet to announce who will represent it at IFAB’s next meeting and if Dr. D’Hooghe is delegated whether he would be attending as a decision making IFAB member or an expert witness. As a result, Messrs. Morsi and Shafiq focused barely 48 hours after the first round on seeking to convince youth groups and soccer fans that they stand for change rather than for preserving as much of Mr.
Mubarak’s repressive regime as possible or an accommodation that would secure the role, privileges and perks of Egypt’s transitory military rulers. 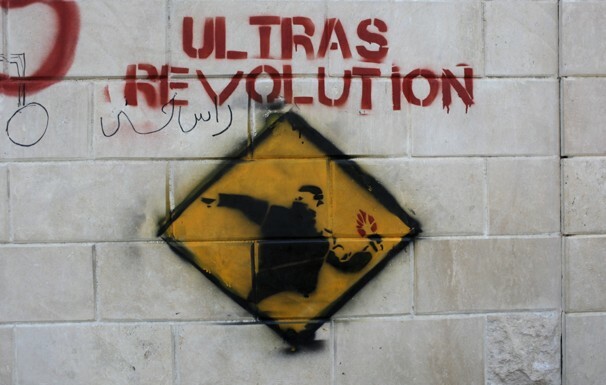 Theirs are campaigns that are already shaping up ones that play on people’s fears – the fear of the restoration of the Mubarak regime versus the fear of Islamic rule. Nonetheless, swaying the youth and soccer fan groups is likely to prove a tall order, albeit one that may be easier for Mr. Morsi than for Mr. Shafiq. For the youth groups and soccer fans who were at the core of last year’s mass protests that toppled Mr.
Mubarak and since then fought pitched street battles against security forces in a bid to force the military to return to its barracks Mr. Shafiq is unpalatable. Mr. Morsi, with youth groups and militant, highly politicized, well organized violence-prone, street battled-hardened soccer fan groups or ultras debating whether to rally behind the Muslim Brotherhood leader or boycott the next election, stands a reasonable chance of securing at least a segment of the revolutionary vote. Nonetheless, it remains for the youth and soccer fan groups a choice between two evils. Mr. Shafiq, who was forced to resign shortly after the toppling of Mr. Mubarak defended the former president’s regime long after his departure and made criticism of the revolt a pillar of his first round election campaign, sought this weekend to assure the youth groups, soccer fans and undecided voters that he intended to realize the goals of their revolt. He vowed that there would be no "recreation of the old regime" and said he was “fed up with being labeled 'old regime’. All Egyptians are part of the old regime," he said. Addressing the youth groups and soccer fans in an about face at a news conference this weekend, Mr. Shafiq said: "Your revolution has been hijacked. I pledge to bring its fruits between your hands. Egypt has changed and there will be no turning back the clock. We have had a glorious revolution. I pay tribute to this glorious revolution and pledge to be faithful to its call for justice and freedom." downloads and links available. There is NO COST to you. The question for Qatari sprinter Noor al-Malki is not whether she will be part of the first group of Qatari women to ever compete in a global sports tournament at the 2012 London Olympics but how she will handle the fact that the competition will take place during Ramadan. The question whether Ms. Al-Malki would be able to compete was resolved when Qatar, alongside Saudi Arabia and Brunei the only nation never to have been represented by women in a global sporting event, decided last year to allow women to compete in the London Olympics. The decision was the result of Qatar’s concerted effort to become a sports power and mounting international pressure on the International Olympic Committee (IOC), not to allow countries to compete that discriminate against athletes on the basis of gender. It saved Qatar, already threatened with a global trade union campaign against its hosting of the 2022 World Cup because of the conditions under which it employs foreign labour, from becoming the target of yet another attack on its reputation, already dented by controversy over its successful campaign to win the right to host the World Cup. The bruising debate over the soccer tournament bid contributed to the International Olympic Committee’s decision to eliminate Qatar as a candidate for the 2020 Olympics. The debate also highlights the major divide among Wahhabis, followers of 18th century puritan warrior priest Mohammed Abdul Wahhab, with Saudi Arabia, the only other country besides Qatar with a majority Wahhabi population, and the IOC still struggling barely two months before the opening of the London Olympics to find a formula that would circumvent the kingdom’s conservative opposition to women’s participation. A Human Rights Watch report released in February, called on Saudi Arabia to protect women's equal right to sports and urged the IOC to live up to its charter, which prohibits discrimination, or face a ban similar to that imposed on Afghanistan in 1999 partly for its exclusion of female athletes. For Ms. Al-Malki, the Qatari decision means that she is grappling beyond wanting to perform at the London Olympics with the requirement to fast during the 30 days of Ramadan during which the tournament will be held. If the decision to allow women to compete may have been difficult because of mounting conservative opposition to Qatari Emir Hamad bin Khalifa Al-Thani’s liberal policies designed to position his tiny gas-rich Gulf state on the world map, resolving the issue of Ramadan coinciding with the Olympics is easy. While Islamic law does not grant athletes dispensation from fasting during Ramadan, it does allow travellers to break the fast during their journey provided they catch up once they return home. Ms. Al-Malki will be travelling during the Olympics. The IOC has rejected Saudi suggestions that Saudi women living abroad be allowed to compete under the Olympic flag rather than as part of the official Saudi delegation. "It's not an easy situation. There is a commitment. We're working steadily with them to find a good solution,” conceded IOC President Jacques Rogge at a recent news conference. "We are continuing to discuss with them, and the athletes are trying (to qualify). We would hope they will qualify in due time for the games." With few Saudi women athletes likely to qualify for the Olympics, the IOC has gone out of its way to encourage participation by suggesting that they would be exempted from qualifying standards and granted entry under special circumstances. Saudi women participation appears however increasingly unlikely with conservative opposition making it difficult for the government to back down at a time that it is rallying the wagons to shield itself against the wave of anti-government protests in the Middle East and North Africa that has already sparked increased political activism and mobilisation in the kingdom. At his news conference, Mr. Rogge declined to discuss possible penalties if the kingdom refused to include women in its Olympic team. The Saudi government has recently employed the clergy to condemn the protests that have already toppled the autocratic leaders of Tunisia, Egypt, Libya and Yemen and brought Syria to the brink of civil war, which, according to some, are the result of the mingling of the sexes in sports. Saudi Grand Mufti Sheikh Abdulaziz Al-Sheikh denounced the protests earlier this month as sinful. "The schism, instability, the malfunctioning of security and the breakdown of unity that Islamic countries are facing these days is a result of the sins of the public and their transgressions," Sheikh Abdulaziz said. Such sins include, according to Imam Abu Abdellah of As-Sunnah mosque in Kissimee, Florida, speaking in a video posted on the Internet, the mixing of the sexes at sports events. “In the past it was only men, now it is almost half half (in stadiums). Allah knows what happens afterwards. Either way it is bad. Either people go out, they are sensing and partying and drinking and all that, so that’s negative. And if they don’t, they go out and they demonstrate and they’re angry and they destroy property and they destroy cars and they destroy people’s business. Either way its haram (forbidden), things have to be done in moderation,” Abu Abedallah said. Des enfants jouent au foot devant une mosquée, à Niamey (Niger), le 14 septembre 2011. Barcelone-Chelsea, demi-finale de la Ligue des champions, le 24 avril : dans le monde entier, on se souvient de l'exploit du club anglais. Sauf à Jos, dans le nord du Nigeria, où l'on se rappelle surtout l'attentat dans un café diffusant le match, qui a fait un mort et neuf blessés. Depuis, les bars de la ville sont soumis à un couvre-feu, à cause de la menace islamiste. Un condensé de la situation en Afrique où le ballon rond représente tout à la fois le sport-roi sans conteste et un casse-tête pour les islamistes. Considéré en même temps comme un "acte satanique" en Somalie, un "jeu d'infidèles" au Nigeria ou encore un tabou pour Al-Qaïda au Maghreb islamique (Aqmi), il fait office de gage de respectabilité pour les Frères musulmans en Egypte. En 2006, les shebabs, les rebelles islamistes qui contrôlent une grande partie du pays, ont qualifié ce sport "d'acte satanique". Une condamnation qui n'en est pas restée au stade des mots : au début du Mondial 2010, des Somaliens qui s'étaient réunis dans une maison pour regarder volets fermés et sans le son (lien en anglais) un Allemagne-Australie ont été massacrés. Un mois plus tard, en Ouganda, un bar et une discothèque qui diffusaient la finale Pays-Bas-Espagne ont été pris pris pour cible. Un restaurant de Kampala (Ouganda) visé par un attentat organisé par les islamistes somaliens, le 12 juillet 2010. Si les fans sont visés, les joueurs ne sont pas épargnés. Un kamikaze a tué une étoile montante du foot somalien en 2011, relate la BBC (lien en anglais). En Somalie, "le foot est une distraction par rapport à l'objectif unique qu'est le djihad, explique Hanna Ouaknine, spécialiste des shebabs. Deux ados ont été mis à mort pour avoir regardé un match. S'ils sont surpris à jouer au foot, les enfants sont punis et battus. Car pour les shebabs, les enfants sont appelés à devenir très jeunes des enfants-soldats." Et ça n'est guère mieux dans le camp d'en face : le gouvernement de transition utilise aussi des enfants comme chair à canon, relate ainsi Le Monde.fr. Les shebabs, qui veulent créer un émirat islamique sur le modèle de ce qu'ont fait les talibans en Afghanistan, n'ont pas banni que le foot : "Ils ont interdit les cloches dans les écoles, sous prétexte qu'elles rappelaient les églises catholiques, poursuit Hanna Ouaknine. Ils ont aussi interdit l'anglais, ce qui a posé problème car la Somalie reprenait les programmes scolaires du Kenya, rédigés en anglais. Du coup, ils ont interdit l'école et l'ont remplacée par des cours sur le Coran et le maniement des armes..." Sans ballon rond à la récré, bien entendu. Les membres de la secte terroriste Boko Haram se surnomment eux-mêmes les "talibans du Nigeria". Dans leur esprit, il ne peut y avoir qu'un seul opium du peuple. "Le foot est vu comme un jeu pratiqué par les infidèles, qui distrait les gens de leur devoir religieux, explique James M. Dorsey, universitaire spécialiste du football au Moyen-Orient et auteur du blog The Turbulent World of Middle-East Soccer. Et même les vêtements de sport sont vus comme contraires à l'islam." Un supporter nigérian écoute un match de l'équipe nationale pendant la Coupe du monde 2002 dans les rues de Lagos, la capitale, le 12 juin 2002. La secte ne prend pas un risque démesuré en s'attaquant au football, sport n°1 en Afrique et au Nigeria. Les stars viennent du sud du pays (16 des 23 joueurs retenus au Mondial 2010, par exemple), les grands clubs du championnnat se situent dans cette partie du pays... tandis que le fief de Boko Haram, et la population qui compte à ses yeux, est au nord. Le groupe islamiste Ansar Dine, qui contrôle une partie du nord du pays, pratique le même programme "culturel" que Boko Haram et les shebabs. Les télévisions utilisées pour regarder des matchs ou jouer à des jeux vidéo ? Détruites. Pratiquer le foot ? C'est interdit. Les habitants de la ville de Gao, tombée aux mains de ces rebelles, ont manifesté pour le retour de leurs droits et ont été reçus par les nouveaux maîtres de la ville avec des coups de feu. "Les interdictions sociales sont énoncées par des groupes dont le projet politique est de régenter la vie des gens. Tracer des lignes rouges, c'est un calcul politique classique des groupes terroristes. Ils savent tout de suite qui est avec eux, et contre eux",analyse Yves Trotignon, spécialiste du terrorisme au cabinet Risk&Co. Il y a deux raisons qui expliquent le silence d'Al-Qaïda au Maghreb islamique (Aqmi), le groupe phare de l'islamisme radical en Afrique, sur le football. "Interdire le foot est révélateur d'une forme de coupure avec la jeunesse. Or, qui constitue les troupes d'Aqmi ? Des jeunes, souvent en rupture scolaire, dont la seule distraction est de taper dans un ballon", constate Yves Trotignon. Qui poursuit : "Et contrairement à Boko Haram ou aux shebabs, Aqmi [dont le noyau dur, qui se situe en Algérie, est l'héritier des groupes terroristes des années 90] est un groupe terroriste qui sait qu'il n'arrivera pas à renverser le régime algérien. Donc il n'a pas besoin de chercher à contrôler la société." En vingt ans de jihad en Algérie, il n'y a pratiquement jamais eu d'attentat contre un match de foot. Contrairement aux shebabs, à Boko Haram et à Aqmi, les Frères musulmans veulent le pouvoir par les urnes en Egypte. Et pas se contenter d'un rôle d'éternel opposant. "Pour les Frères musulmans, le foot est considéré comme un moyen de faire de l'entrisme social, avec des équipes communautaires, explique Yves Trotignon. J'ai vu des foules plus impressionnantes pour la reprise du championnat égyptien que lors des manifestations de la place Tahrir. Ce serait une erreur politique, un handicap, que de s'attaquer au football en Egypte." Le parti politique des Frères musulmans organise des meetings pour l'élection présidentielle dans des stades de foot, comme ici à Zagazig, à 90 km du Caire (Egypte), le 23 avril 2012. L'organisation islamiste organise des meetings dans des stades, ce qui serait impensable en Somalie. "Les Frères musulmans ont même envisagé de créer une équipe de foot, mais ils y ont renoncé", souligne James M. Dorsey. La nouvelle avait provoqué l'ironie des Egyptiens, qui attendaient avec impatience le match contre le FC Police (la police détient effectivement un club, Ittihad El-Shorta). Des Egyptiens curieux aussi d'assister à l'interprétation des règles façon Frères musulmans et qui en blaguaient déjà : "Tout joueur qui tire la barbe de son adversaire sera sanctionné d'un carton jaune", cite Al Arabya (lien en anglais). Mais depuis, le parti qu'ont fondé les Frères musulmans a gagné les élections législatives. "Les Frères musulmans se sont rendu compte que ce dont avait besoin le pays, c'était surtout un nettoyage de la corruption des années Moubarak dans les institutions sportives", conclut James M. Dorsey. Moralité : dis-moi ce que veut ton groupe islamiste, je te dirais s'il interdit le football ou pas. "C'est trompeur de penser que l'islamisme est un bloc cohérent, uni, sans aspérité. Sa relation au football en est une illustration", résume Yves Trotignon.